Last year late autumn I found myself getting really interested in leaf blowers. It was one of the worst years as my trees are growing up and it was just so messy that it was just really wasn’t a job to do with a rake and hard broom. I was really starting to regret having to go out of the patio and sweep up every single day it was becoming way beyond a chore. Don’t get me wrong I absolutely love my garden but there’s some things where repetitive jobs are involved that can just be streamlined. And the leaf blower vacuum is exactly that. Without doubt it was one of the best investments of my life. I bought particularly expensive one but then I have quite a lot of surface area to cover. I don’t really think that everyone would need one quite as expensive as I shelled out for. So in this article I’m going to go through a few of the most common types and models. I also go through the pricing of them and then round up which ones I believe are best for what scenarios and is up to date until February 2019. As you can see the prices vary considerably but then so does the performance. Now in detail I intend to go through the best leaf blower, with the best reviews, and any leaf blowers are currently on sale. 1.3) Best leaf blower for small garden. 3.1)Leaf blower reviews for value for money. 4) Leaf blowers for sale. 5.4) Petrol leaf blowers for sale. To establish to he best leaf blower for each individual I’m going to go through a series of scenarios. The best leaf blower for a large Estate or home is almost certainly going to be a petrol powered heavy-duty one. You don’t really want to mess around with power leads and a cordless one simply won’t have enough battery power time. So I think it’s pretty fair to rule out cordless or electric leaf blowers and concentrate our efforts on trying to find a good value petrol leaf blower. If you’re looking for a high quality industrial grade leaf blower then you probably don’t need to look any further than the Makita 4 stroke petrol leaf blower. It’s an incredible piece of equipment and so unlikely to fail you. This amazing piece of equipment actually blows air 145 miles an hour and is surprisingly more quiet than many of its competitor models. If you have an extremely large garden or you’re doing this on a professional level you really don’t want to 2-stroke because you’ll then be filling up with two stroke oil all the time. A 4-stroke engine oil will last 6 to 12 months depending on the amount of you use and even then you won’t be going it’ll just need servicing. The best Makita leaf blower comes with some incredible performance stats. One of the biggest features and most useful features is decompression system that allows for easy starting. Brilliantly the blower tube comes in two sections which makes it easy storage if you’ve got a small shed or a specific place to put it. Absolutely ideal with a pickup truck and you need to fit your tools for landscaping in the back with a minimal amount of space. It’s power to weight ratio is excellent. It comes with a 25 cc engine that’s just 4.4 kg in total weight. This lightweight piece of equipment isn’t just plastic though. There are plenty of metal components giving this item plenty of durability.It runs on unleaded petrol when it has a actual electrical output power of 810 watts. If you’ve got a medium sized garden then you’re almost certainly going to be looking at a cordless leaf blower. It’s absolutely ideal because it’s the perfect balance between having enough power to get the job done but having the flexibility to not require a power lead. It also provides the additional benefit of not having to worry about the safety requirements of storing unleaded petrol. might argue the one slight drawback is the weight of the battery actually reduces the power to weight ratio performance but given the huge benefits it’s a very small drawback. 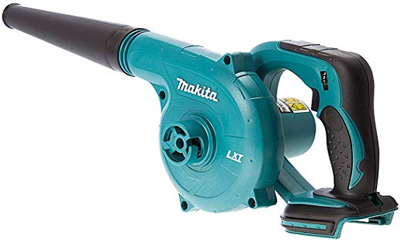 I don’t want you to feel like I’m biased toward Makita but I’m pretty sure that there isn’t really a lot better out there than the Makita 18 volt leaf blower. It comes with a pretty impressive spe considering it’s only battery-powered. As far as the best leaf blower for a medium-sized garden goes it’s pretty much untouchable. The actual body weight itself is just 1.4 kg. Granted the battery increases the weight fairly but overall still considerably lighter than a petrol version. It’s worth noting though of course that this version is nowhere near as powerful as the petrol version noted above. One of the things that I like most about this model is the soft rubber grip for the handle. It actually makes it really comfortable to hold and as a result it’s really well balanced. They really thought about the battery weight used to keep full balance of this piece of equipment. The added bonus with this piece of equipment is that it comes with a vacuum setting as well. Talking settings, it also has three intensities for the air blow. So if you want to try and make the battery last a little bit longer you can. If we just go into spec a little bit, it requires an 18v 5 amp Makita battery. This Leaf flower also comes with the added benefit of being able to disassemble the tube. One of the standout points with this item of course is the weight. It just 1.45 kilos is one of the lightest blowers on the market but really packs a punch. If you were going to look for a cordless leaf blower for a medium-sized garden this would be the option. The cost the batteries is quite considerable but there is an added advantage. Makita has a brilliant range of cordless tools. Invested in couple of batteries. It really opens up the naked tools. This one is normally extremely well priced. When I think about the best leaf blower for a small garden it all boils down to the cost. If you have got a small garden is quite likely that you could get away with using electric corded version. They are by far the cheapest and best value for money. Of course you have to unreel the power cord every single time but then you pay less. Bear in mind in a small garden you won’t have that much of a cord extension anyway, it’s hardly a big deal. If I had a small garden the best leaf blower for me would be the Q garden leaf blower vacuum. Taking the price into consideration, it’s pretty much ideal. It’s low investment but gets the job done quickly. I know that you could probably do without a leaf blower altogether in a small garden, but if you’re covered by trees from neighbouring properties, this would be the option. In conclusion to the best leaf blower, there’s no one size that fits all. It’s pretty reasonable to assume that if you’ve got a large garden you’ll go for a more industrial petrol version, and if it’s in the middle corded or cordless would be pretty sensible. But for the smaller garden, it doesn’t really make sense to invest in much more than a corded or at most cordless leaf blower. Next up we’re going to be taking a look at Leaf blower vacuums and the best one for you. Some of the leaf blower models mentioned above are actually leaf blower vacuums or can be extended. But I thought it would be better to strictly talk about leaf blower vacuums here so the we have a separate section for them just for and dedicated to leaf blower vacuums. A leaf blower vacuum has a significant advantages over just a leaf blower in that you can collect the leaves at the same time. But that said, it also does way the leaf blower vacuum down once full. So an item that already weighs 4 1/2 kg full of leaves can get quite heavy so you need to be pretty strong to handle an industrial one. For this reason many people actually just prefer a leaf blower with a rake and a bag. If you haven’t got too much to do or you prefer to keep things tidy as you go then a leaf blower vacuum is for you. In this section I’m going to go through all of the best leaf blowers and different cases and uses for them. Much in the same way as we went through different examples above in the best leaf blower section. 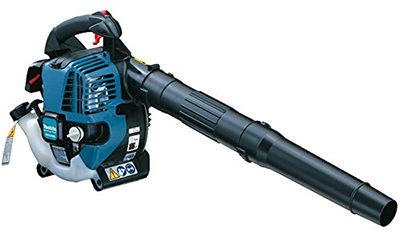 If you’re simply looking for the best leaf blower vacuum and cost isn’t an issue then you will definitely go for a petrol version. If you have quite a large garden or this is your profession then I would probably go for the McCulloch leaf blower vacuum. It comes with heaps of power and the price is pretty sensible to. It can do almost everything you want in a medium to large garden or as a professional. It has a huge 45l capacity for leaves and has a massive of 16 to 1 mulch ratio. It weighs in a 4.4 kg and has a total output of 750 Watts. Given it’s only 750w it’s actually incredibly powerful. It has a blow function of over 200 miles per hour. It comes with soft grip and has cruise control as well as variable other useful attachments such as a flared out tube so that you can cover more surface area when vacuuming. What I really like about this McCulloch leaf blower vacuum there is the ability to soft start. It’s extremely versatile. It’s a blower, vacuum, and mulcher all-in-one. You can literally get the job done without stopping. McCulloch and well known for their high quality technology and pound for pound this is a really good garden investment. I wouldn’t go for this item if I had a medium or small garden, it’s just far too much for the job. You don’t need this level of investment. Instead we will have a look at the mid-range items now. Cordless leaf blower vacuums actually require a fair bit of power and it’s not really ideal for a battery-powered piece of equipment. Personally I would steer clear of the battery and go for a power corded version instead. I know that it’s a bit difficult carrying the power lead around the garden even if it’s a mid-size one but overall you want to be able to do the job efficiently and safely. With that said you just can’t touch this Gear leaf blower vacuum and shredder/ mulcher. It comes with the 10m power lead which is pretty sufficient and has an incredible amount of functions for the price. It’s 3000 watts in power and has a 45l carry bag. Given that it’s got a mulchers as well, you get a fair amount of leaves in before it’s too heavy to handle. This allows you to get far more work done, more quickly. It has a 10 to 1 mulching ratio which is nowhere near as efficient as the McCulloch listed above but of course then the prices are set apart to. There’s also a huge advantage without being petrol of the safety. You don’t need to store petrol around the property. This is really good if you’ve got little children, and of course toddlers. Petrol fumes can be quite annoying as well and of course the electric solves that issue too. It has the added advantage of being lighter than the petrol version and far more powerful. Electric is definitely the way to go. If this Gear leaf blower vacuum had any disadvantages at all I would have to say it it’s the size of the thing. It’s not overly heavy but it is quite bulky to look at. If you’re quite tall this won’t be an issue for you and very good value for money to use, in any garden situation. When I look around the internet for leaf blower reviews I find a huge range of opinions. Some items that people are considering to be brilliant are considered poor by others. So in this section I’m going to take a look at the best leaf blower reviews. We’re going to closely look at the best overall average rating for leaf blowers. This is the only way I can think to get leaf blower reviews accurately for you. 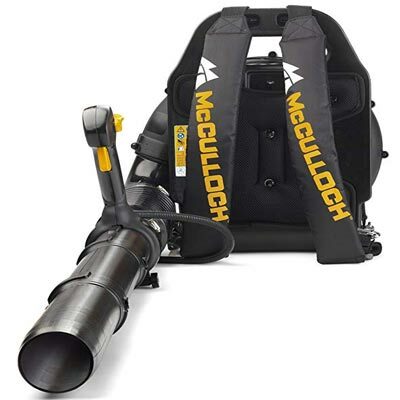 One leaf blower that consistently scores well all around the internet is the McCulloch petrol leaf blower. One of the most common compliments of this leaf blower vacuum is the fact that it’s extremely powerful when lightweight. Many commenting on how much more comfortable it is to use than their previous models. It’s also well noted as being more than powerful enough to grow to blow grass back off the pathway onto the lawn. This is quite a big deal because there’s you and I both know it’s really annoying trying to sweep up or remove grass from my pathway. in the interest of being totally unbiased it was noted that it’s for a right hander only. Left handers do seem to have a little bit of a problem adjusting to it. I don’t really believe this to be too much of a problem because I also know that many models are right-handed only. I don’t think that this is a particularly unusual disadvantage. It seems to be noted that it works best with bigger, dryer leaves. And that being a back pack it’s extremely easy to use. For me though the biggest advantage is the fact that it can be used on an on a lower power. When you set this to a lower power the noise is quite manageable and comfortable. One of my biggest concerns and annoyances with all petrol powered items that are handheld is the noise. Not having that buzzing sound in your ear is really quite comforting. Many large garden owners have commented just how capable this I am is of dealing with all of the leaves very quickly. Overall leaf blower reviews go, this item has incredibly good feedback all around the internet and great value for money. If I were to buy a leaf blower for a large garden, hands down it would be this one. 3.1) Leaf blower reviews for value for money. War on the subjective leaf blower reviews I thought it would be worthwhile just too quickly throwing value for money. 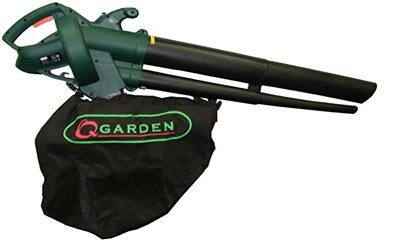 The Q garden leaf blower that we mentioned above that actually is probably the best value for money as well. As we already went through in the best leaf blower section, this particular leaf blower is extremely powerful and versatile for the price. It’s pretty much unrivalled as far as cost to concerned. We also worked out that it would be pretty good for a medium-sized garden too, not just a small one. Overall you’ve got the budget old still go for a cordless or petrol but then it all boils down to what you consider good value for money. With the options above you’ve definitely got more than enough to consider and make a decent decision. There are loads of different leaf blowers for sale in the UK. In this section I’m going to go through some of the best leaf blowers for sale. The leaf blowers for sale in this section are good for and noted as February 2019. Here’s a look at the very best offers for this time of the year. The leaf blower that’s really standing out at the moment is the Von Haus leaf blower. 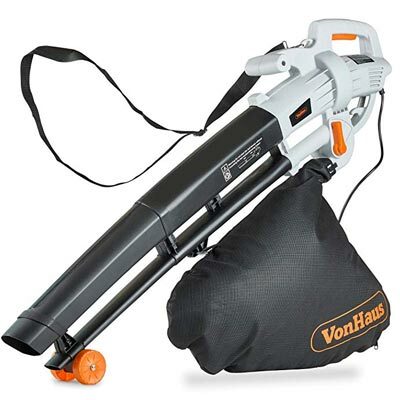 The Von Haus leaf blower is absolutely ideal for tidying lawns, patios, driveways and much much more. Given that it’s got multifunction as well it’s absolutely ideal for composting to. If you look at the price this thing is really worth it’s money in February 2019. It has a 35 L capacity to hold leaves and also comes with a 10 to 1 mulching ratio which is right up there for a lower and leaf blower. talking about its capacity it’s actually really light weight and comes with 10m power cable so pretty versatile around the garden. As far as leaf blowers for sale go, you can’t really go wrong with this one as it’s got a 2 year warranty. It also weighs just 4.28 kilos which is less than it is petrol counterparts. Given that there are over 300 happy customers online and it’s absolutely the right choice for on sale leaf blowers of February 2019. I think it’s pretty realistic to say that this item won’t be as cheaply priced as it is in a year’s time especially seeing as how tremendous the feedback received has been. Definitely try to take advantage of this new maker before it’s too late! You buy a petrol leaf blower for a few main reasons. The first and the most obvious reason is because you’ve got a large garden or a lot of work to do. It’s well known that a petrol leaf blower will get work done far quicker than cordless or corded versions. It allows their versatility and freedom to move around that you just can’t get with the corded and cordless electric counterparts. Quite obviously the corded version requires an extension lead everywhere you go to be moved and the cordless battery version just doesn’t have the power longevity. So if you’re a professional or a large homeowner then of course the petrol leaf blower is the option for you. The question is do you just want to have a petrol leaf blower or one that combines itself is a vacuum as well. Many people tend to favour the blower and then rake the final leaves up, then there’s the person that likes to just clear an area steadily with a vacuum as well. In this section we are going to go through both and hopefully give you a well balanced opinion of all of the available petrol leaf blowers on the market at the moment that a well priced or good value for money. If you’re a professional landscaper or have a large garden. Perhaps you’re an estate owner, you don’t mess around you get the Husqvarna petrol leaf blower. 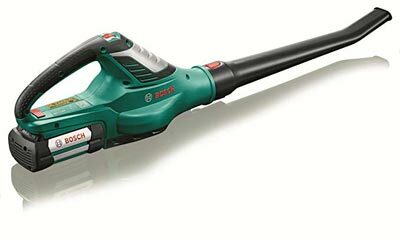 When were talking about a petrol leaf blowers handheld buy a human this one is absolutely unrivalled in power. 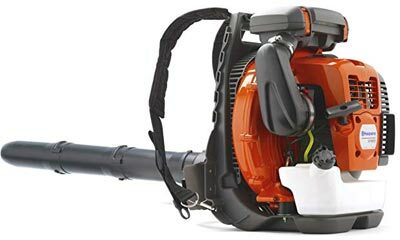 The Husqvarna 580 petrol leaf blower is one of the most powerful backpack blowers available even for commercial uses. It has some incredible stats and let’s go to a few of them. It’s 3100 Watts, so comparable to a corded electric version. The airflow is in an astonishing 90 m per second. With all that power it’s important that you work out a comfortable way to hold this thing. Husqvarna have certainly done that it’s so easy to use despite the fact that it’s quite large in size and weight. They’ve even added comfort straps because of the power and torque of the engine. Given the size of the engine it’s actually not too bad in terms of decibels and noise pollution. We still recommend that you wear ear protection because no petrol engines acquire. So if you’re working through a large garden or you’ve got serious amount of work to do then definitely use this leaf blower. As best petrol leaf blowers go this thing is pretty much unrivalled. It’s pretty pricey but then at the same time you get what you pay for. I wouldn’t use anything else if I was looking to do this commercially. When I think about the weight at 11.2 kg it’s also not that heavy considering it’s for your back. One that weighs 4.5k.g and hand held is actually probably more cumbersome than this one. The word cheapest is pretty subjective. The cheapest petrol leaf blower will actually set you back less than a decent Chinese on a Friday evening. The question is does it work and is it good value for money? Will it actually save you any time? 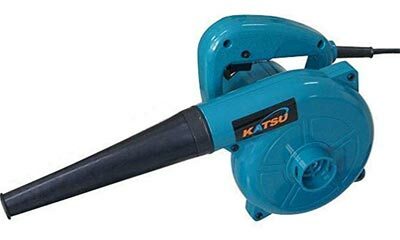 According to 48 customers and counting the KATSU leaf blower is actually a really decent piece of kit for such a small amount of money. Unbelievably this cheap item actually has a suction set too. I would be wary about its actual power considering it’s only 500 watts though, if you’re looking for something that’s going to clear a whole garden I’m not really sure that this would be advantageous. If you’re looking for something small and lightweight just for a little patio then I think this might be the item. Especially if you don’t want to spend any serious money. Some of the key stats are that it’s light weight and compact. Be careful of the power lead though, it’s only 1.2 m, you’re definitely going to need an extension. we have to be realistic about what we get for a money and this thing really is cheap. I think for small light weight purposes it will do the job but if you’re looking for anything that will do serious work probably best to move on. In the section we are going to look at the best petrol leaf blower reviews on the market today. There’s so many leaf blowers that it’s really hard to know what you’re getting and is it good value for money. The only way that we can really ascertain the true quality is by looking at the experiences of other people all over the internet. In this section I’m going to pull all of those experiences and prices and opinions together and try to come up with the very best petrol leaf blower reviews on the internet. 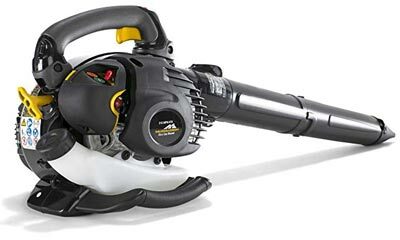 One wild card petrol leaf blower that keeps cropping up all over the internet is the 65cc Petrol Backpack Leaf Blower. 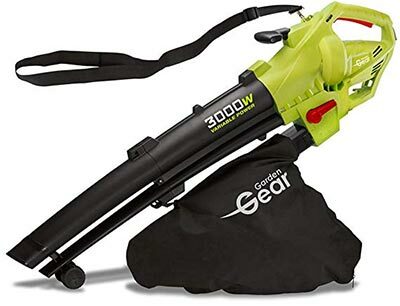 This number rounded petrol backpack leaf blower has many good reviews on Amazon and extremely competitively priced. Obviously people are looking for a bargain and willing to give it a go as it’s half the price of its competing backpack petrol leaf blowers. Some of it’s key stats are a powerful 65 CC 2-stroke engine. Hope you have to be careful with two-stroke though because of course you now need to mix your oil and fuel consistently. However with that said it produces an astounding 210 miles per hour wind speed. This is incredible power for a home petrol leaf blower. There’s not a task at home that you won’t get done quickly whether it be removing the grass from the patio or from the pavement. It could be that you need to clear the leaves and you’ve got many large trees and it’s late autumn. It doesn’t matter this time we’ll get it done quickly. Don’t let the fact that it hasn’t got a brand name put you off. It’s EU approved and fully safe. It’s a little bit heavy at 13 kg to seeing it sits on your back you won’t really notice the extra weight. This petrol leaf blower comes with the built-in function to reduce the vibration on your back. It also has extra padded straps for more comfort. As leaf blowers go, this really looks like a worthwhile option and something to consider. Granted, it hasn’t got a brand name and therefore the warranty issue and the lifespan hasn’t really been tested but overall with the incredible feedback is received on Amazon so far you would be mad not to give this a try after all you could get two of these for the price of one of the branded versions. The petrol leaf blower reviews for this item are absolutely insane If taking into consideration the price of the item. One of the drawbacks incidentally to be completely unbiased was the fact that it was quite difficult to assemble. Many people have had issues on initial assembly but after that they’ve said it’s a brilliant product. 1 review mentions that the same item in fact should be nearly three times as price not twice as I previously said. Be careful of the fuel mix with oil section that looks like it needs a little bit of work but if you’re careful there won’t be a problem. Just make sure that you’ve definitely got two stroke oil in there and everything will be fine. As petrol leaf blower reviews go this one’s top-notch. with so many people saying that this so glad that they took a punt on this non branded petrol leaf blower I think it’s definitely one to consider. 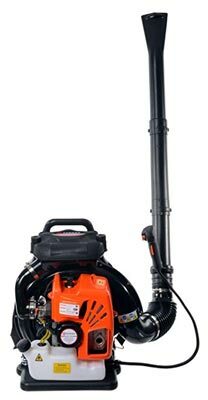 Petrol leaf blowers for sale ties in beautifully with the reviews above, this items on sale at the moment and for around just £150 and it’s been quoted at nearly triple the price elsewhere for a branded version. Most people are saying that this petrol leaf blower for sale is on par with the top brands just a fraction of the price, Stihl for example. If there’s ever a floor mentioned it’s simply a case of lack of communication from the manufacturer. This is typical of most Chinese manufacturers but don’t let that bother you, it’s a really high quality item looking at the general feedback across the internet. I’m absolutely certain as time goes on they will approve this. As Petrol leaf blowers for sale go, through seasons, when we’re at the end of Winter it couldn’t be a better time to bag a bargain because they know they’re not going to be able to sell them. So right now in February is practically the best time to get yourself one of these for next year. don’t wait till the middle of summer when everyone wants one and the stocks are running low, that’s when you won’t get the bargains, definitely strike while the Iron’s cold so to speak. I really like this petrol leaf blower for sale I really couldn’t recommend it anymore. If I can think of one drawback it would be the fuel consumption. People and noting that you can only actually get about 1 hour at full throttle. But one hour of full throttle is a fair amount of work done in a large garden. I really wouldn’t factor the price of fuel in the equation here.If I we’re doing this commercially I might have to consider the fuel consumption but in our large home garden or estate it’s really not going to be a deal breaker or maker. From my perspective you really can’t beat cordless leaf blowers because they’re so quiet, they’re really powerful, and they are really light. This makes them brilliant to use in a perfect product and asset for the garden shed. you don’t have to spend hours driving to fuel stations and then storing flammable fuel. You just simply take a power charger into your home and put plug it in on the side. Just in the same way that you plug your mobile phone in. It’s literally that convenient. It means that you’ve got your cordless leaf blower available absolutely any time to you. As long as you’ve got two batteries it means the One battery can be on charge while you’re using the other. There’s absolutely no downtime and as far as a medium-sized to large garden goes this is the real deal. If this is an item for tinkering at home I really can’t recommend the cordless leaf blower more. It’s the perfect item if you’ve got children, and it’s got the power to do the job and actually save you time. The last thing you want is to buy an underpowered leaf blower that just simply won’t get the job done. If you buy one and you feel like ratings easier, you’ve bought the wrong cordless leaf blower. I’m going to look at the best cordless leaf blowers and value for money that can be found on the market. We also need to consider that if you’re a tradesman you might actually already have some other power cordless tools which means the batteries could be reused in need. Of course this applies to Landscape specialists as well. I have a couple of recommendations for the best cordless leaf blowers because actually this far more than a couple that are really good but we’ll just keep it to two in this example. My first choice for best cordless leaf blowers is the Bosch cordless leaf blower. I’ve chosen this cordless leaf blower mainly because it has high power and low cost. It’s also one of the best recognised cordless leaf blowers on the internet today. If you look at Amazon for example there’s literally hundreds of positive reviews about this item. There’s a few disgruntled customers but by a large this is a quality piece of equipment for the price. Going through some of the key stats, it has a very powerful 36 volt lithium battery engine. Incredibly even though it is 36 volt it actually has over 30 minutes of run time per charge. Amazingly it also has nearly 120 miles an hour wind speed. This is highly impressive for a battery powered cordless leaf blower. Shockingly given no stats it only weighs 4 kg. This cordless leaf blower will get the most stubborn leaves off of your patio. You’re definitely not going to feel under sold.The link highlighted above is nearly twice the price of another one, that’s because the other one doesn’t come with battery or charger. I think it’s highly unlikely that you’re going to have a Bosch cordless leaf blower at home and therefore I think it’s more sensible just to give you the complete package. The best thing about this cost this Bosch cordless leaf blower is the fact that its electric start. That means that you don’t have the same problems with cranking like petrol. It’s just so easy to flood a petrol engine and it’s really inconvenient. As well as the fact you have to store that fuel as well which is unsafe for children. The other thing about petrol is fumes that come off the petrol as it burns which is rather tiresome and unpleasant as well. There are a couple of faults with this cordless leaf blower and the main one is the fact that the battery doesn’t last very long. You can’t really blame the battery not lasting very long though, that’s mainly because the engine so powerful. You really wanted to do a good job after all. You would soon be complaining if it wouldn’t get up those wet leaves! But as a result of the mixed battery life feedback I’m actually going to include a second one for you here. Makita every up their game as far as cordless leaf blower as a concern. They’ve actually developed a leaf blower that carries 36 volts to 18 volt twin batteries place together. Here’s a link to this beast of a cordless leaf blower. If you was watching this thing in action and you turn the sound off on a video of it, You would be forgiven for thinking that you were watching a petrol version. This thing has incredible power to weight ratio and it’s so easy to use, versatile and the ideal piece of equipment as a cordless leaf blower. Unlike the Bosch cordless leaf blower it actually comes with a battery warning lamp. This gives you the opportunity to know when you’re going to run out of power, also if you’re starting to lag in power as a result of the battery dwindling. It’s a very simple thing, just head into the house and change over the batteries. 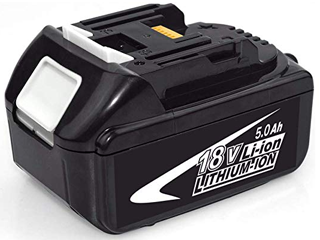 Makita are well-known for their battery development technology and you can get a fast charge for these 18 volt 5 amp batteries of just 15 minutes. The amount of downtime even if you’ve only got 2 batteries is limited to just that 15 minutes. It’s only 94 dB for operating power and this is well below the 100 plus of most petrol cordless leaf blowers. I would just quickly remind you again though as cold this leaf blowers go, this isn’t for commercial use. If you’re going to go for commercial use you’ve got about a petrol. This is great for a medium-sized to large-sized garden at home. It will also get rid of the most stubborn stuck down leaves but it just doesn’t have the power that you would expect for commercial use. Of course it doesn’t come with the commercial price tag either which makes it a great balance for the homeowner. Please note with the link provided you’ll need to purchase a battery separately. Batteries for Makita extremely expensive but don’t let that put you off, they really lasts well when they’re extremely genuinely powerful. 18 volt by 5 amps is a genuine 90 Watts. The same can’t be said of many other manufacturers. Be very wary of cheap cordless leaf blowers, battery power is actually still in it is infancy and therefore the lack of battery power might leave you feeling disappointed with a product that you’ve just purchased. The cheaper electric corded leaf blowers are fine because they’re backed with electric power directly from the home. This could mean that even the lowest standards corded electric leaf blower has 1200w. A cheap cordless leaf blower might only have 80 watts. If you do the maths then you can quite quickly see how this is going to be a problem. 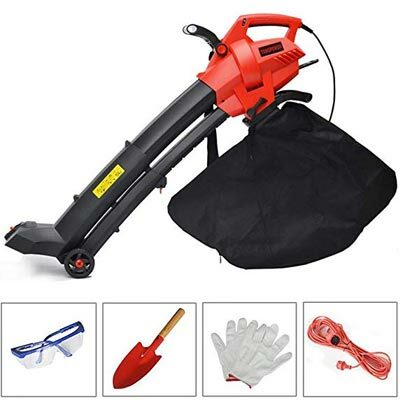 That’s why the cheapest cordless leaf blowers in my opinion is not really an ideal investment and therefore I have no product for this section, instead take a look at this corded electric leaf blower. Just to be clear about this even one of the best cordless leaf blowers as mentioned above from Bosch is actually still disappointingly not good enough as far as the batteries are concerned. The battery power on that number is just 30 minutes. If you go for a cheap one you’re just setting yourself up for a problem and it will just end up in the shed being left there. In fact it’ll probably be the worst investment of your garden. If you’re looking at cheap cordless leaf blowers I would far highly recommend you head towards an electric version instead as linked. It’s just the wrong place for you. You’re going to get caught in the middle between cheap and not good enough for the job and the end result will be you are disappointed. Let’s avoid that disappointment and if we’re looking for cheap let’s keep with corded electric leaf blowers. The link highlighted is just the price of a decent curry on the weekend. Incredibly it also has multifunction of mulcher and vacuum. This does represent good value for money And I’m sorry that I’ve not been more useful than this cheapest cordless leaf blower section. There’s just simply no good advice here, other than to stay clear. Battery leaf blowers are essentially cordless leaf blowers but the thing is I just want to be clear about the difference between the two you do still get people thinking that petrol leaf blowers are also cordless leaf blowers. I know that sounds quite confusing so it was well worth adding the battery leaf blowers to the list. 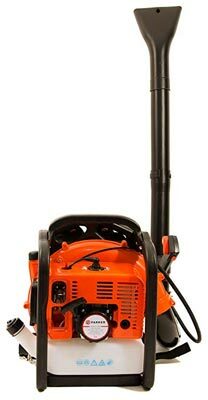 Just to recap battery leaf blowers are a brilliant item and they should definitely be used in mid to large size gardens at most. If you’re looking for substantial work then definitely head towards the petrol model range for battery for cordless leaf blowers. 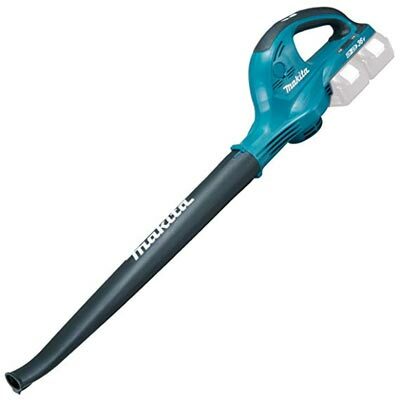 If I were to pick one mainstream battery leaf blower manufacturer above all else it would be Makita. Makita battery technology is very very impressive. They also have an incredible power tools range as well. If you’re looking for power tools and then you’re looking for tools in the garden as well then using the Makita range is definitely not going to disappoint. I personally own dozens of their cordless tools and every single one is incredible. But the one standout is actually a router. That’s for another review though because it’s got no relevance to battery leaf blowers here. I’m a big fan of electric leaf blowers because pound-for-pound they just can’t be touched. You can get an electric leaf blower for the same price as a decent Chinese takeaway on the weekend. Remarkably , the electric leaf blower in this price range will do some serious work in your property, including vacuum and mulcher. The main reason is that electric is extremely powerful and well developed already. Even the cheaper ranges of electric leaf blower are 3000 Watt. As per the example highlighted above. We only need to do check the feedback and you’ll see that it is incredibly powerful and generally people are extremely happy about/with their purchase. Of course electric corded leaf blowers do have their problems. You have to have an extension lead with you all the time which is an inconvenience and laying a power lead on a damp garden lawn is a bad idea. But overall, if you’re looking to invest a small amount of money then an electric corded leaf blower is the way to go for you. First up is the most expensive best electric leaf blower. Before I go into this review it goes without saying that you get what you pay for typically. It’s just that this particular example seems extremely good value for money to me when I look at the reviews and its actual capabilities. The Ankeo electric leaf blower, vacuum, and mulcher is probably one of the craziest piece of home equipment kit I’ve ever seen for a garden. I mean if the neighbour caught you using this thing from through the fence, there’s going to be serious garden jealousy going on. you might be forgiven for looking at this thing and thinking is commercial grade. If it wasn’t for the fact that it’s got a power cord it would be. This is easily comparable to any commercial petrol leaf blower out there. It has 15 to 1 mulching capabilities which is commercial grade. It has a huge collection bag and that’s all due to the fact that it’s on wheels so you can actually push it rather than carry on your back. They basically built a walking leaf blower for humans almost like a lawnmower. If you’re like me and you like to be different, then this thing is for you. It is awesome. It has some really useful features as well, the first one is the adjustable height. Not everyone’s the same height and of course that would be a problem if it wasn’t adjustable, it wouldn’t work for all. Having the adjustment between 1.6 and 1.9 m is absolutely ideal because it covers most human heights within reason. It means that you won’t have to lean over, and you’re not going to hurt your back which is a big deal when part of the reason why I don’t actually like a carry leaf blower. I’d much prefer this or a backpack leaf blower to a carry version any day. Due to the size of his huge suction nozzle you don’t really get blockages or problems with cleaning either. You can easily get this thing maintained. It has 6 speed function adjustments which gives incredible power at the top end. There’s no leaves that will stick to your patio that this thing can’t remove. Shockingly this thing weighs just 8.5 kg. That means that you can actually collect the fair amount of leaves in a 45l bag before you begin to feel uneasy. The manufacturer suggests that you can cover 2000 square metres, that’s quite impressive. The only question I have is how you can cover 2000 square metres using an electric lead. It’s going to be a little bit inconvenient and on huge areas I would definitely go for a petrol electric blower but this thing definitely has its place in a big back garden. Without trying to get to clever with the maths it’s suggesting that you can go 40m in one direction and 40 to 45 m in the other direction. That means that at the farthest corner you might actually need an extension lead that’s nearly 60 m. For my money 60m extension lead is a bit of a problem. Apart from a small blip this is an incredible piece of kit and in any normal sized garden is sure to blow the leaves away, no pun intended and as a nice added bonus actually comes with goggles, protective gloves, and a shovel. It’s the complete Leaf removal kit! In this cheapest best electric leaf blower section I haven’t actually gone for the cheapest because I don’t believe it to be the best. The best electric leaf blower is actually a few pounds more than the cheapest one. You can’t go far wrong with Amazon a recommending a product to. My favourite just to cover it again is the Von Haus electric leaf blower. Given the power, performance, and weight to power ratio this is a really good for the kit. Of 308 Live reviews this is barely got any negative feedback at all. Most people just mentioning just how grade a product is and how grateful they are to have a great electric leaf grow such a cheap price. There is one cheaper than this but it’s really not worth talking about because for a few pounds you really should buy a decent piece of kit which this is. It also comes with 10 meter cord and the cheapest one only comes to 1.8 metre cord so from that perspective alone you’ve already got the value back of 3 quid. I’m not going to go into the speck again because we’ve already covered it. It’s a great bit of kit and if you’re on a budget this is a must-have item. Assuming that you really need a leaf blower that is. Because you can actually get by with just a reiki under garden It’s a great bit of kit and if you’re on a budget this is a must have item. Assuming that you really need a leaf blower that is. Because you can actually get by with just a reiki under garden brew. It’s just not very fun to do it every day broom. It’s just not very fun to do it every day. For the price the Makita cordless leaf blower is a rock star. And an absolute must have in any mid to large-sized garden. If I wanted something a little bit more serious I’d definitely go for a petrol leaf blower. By serious I mean something commercial or professional. But there’s no way I’d go for this over a Makita cordless leaf blower if my only intention was the leaf blower in domestic use. It’s just that having a mulcher is quite handy and the Makita doesn’t have that. I would definitely give the non branded petrol leaf blower go as well just based on all of the brilliant feedback it has on Amazon.